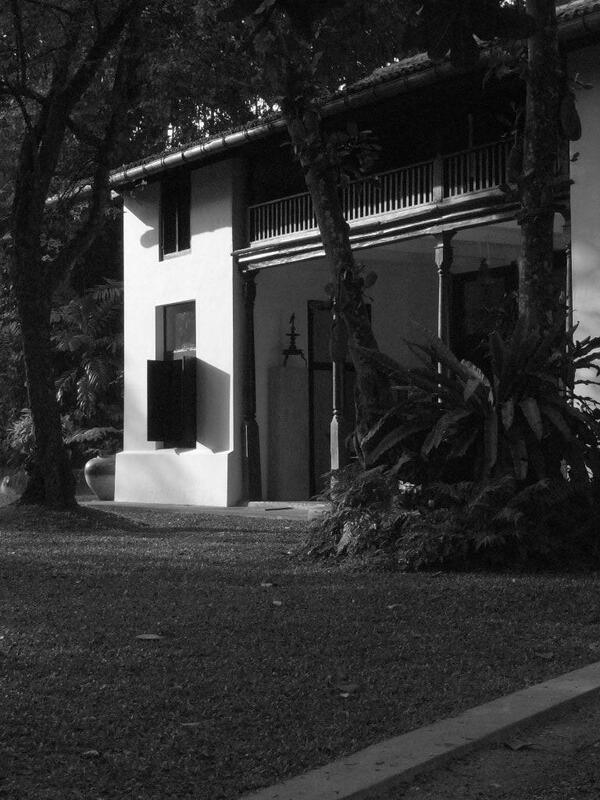 Bawa House 87 was built in the late 1960�s when Geoffrey Bawa designed this house for his friend Lydia Duchini Gunasekara, a former professor of sculpture at Milan University who made beautiful sculptures and used the shophouse as her showroom. In 1994, the current owner purchased the property and assembled more land making a total of seventeen acres. Mr. Bawa was immediately engaged to restore the property to its former glory and it was at this time that he designed the artist�s bar, the ruined chapel, and the lake and marshland beyond. The property consists of seventeen acres of jungle-gardens, lakes and marshland; home to birds, reptiles, insects, fish and wild animals, some endemic to Sri Lanka. Bawa House 87 is located in a town called Bentota in the Southern Province of Sri Lanka, two and a half hours drive from Bandaranaike International Airport in Colombo.